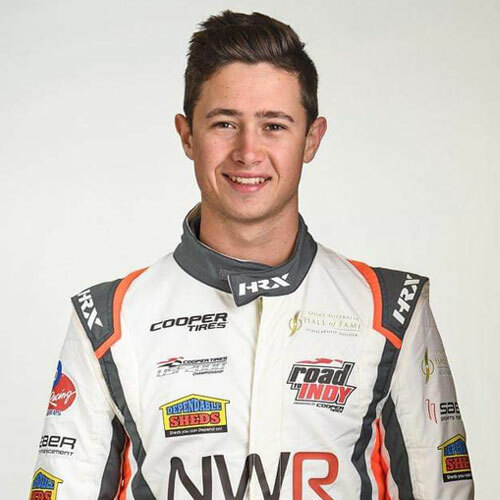 Birmingham, AL (April 22, 2017) Today’s Round 4 of the Mazda USF2000 Grand Prix of Alabama Presented by Cooper Tires at Barber Motorsports Park got off to a pretty bad start. On the very first lap, six cars, including Andre Castro’s #37 machine were involved in an incident in Turn 3. That ended Castro’s day, as he suffered suspension damage. As for Flinn Lazier, this weekend’s Nemwan Wachs “new-kid-on-the-block”, he was able to stay out of the first lap carnage, and drove intelligently throughout the whole race. Lazier showed what he was made of when he made two solid passes in the last part of the race, and ended up with a well-deserved 11th place finish, after starting in 22nd position. They say tough times makes you stronger and builds character. Andre Castro certainly has grown stronger these last few races, and his acquired character has allowed him to stay positive and look forward to better times. Stay tuned for our next USF2000 Championship race at the Indianapolis Motor Speedway o May 11-13. Andre Castro (Car #37) – “Our race lasted 2 corners. I was going down into Turn 2, and I had a car on my outside and he pinched me all the way up onto the white line. We just got hooked together somehow through the whole corner, and someone came flying on the inside and hit my right front and broke the suspension, so that was the end of our day. All in all, we didn’t get the results we were looking for, but finishing P9 yesterday was a good result for me. I learned a lot, so from this point forward, hopefully we’ll start having better luck and start seeing better results. Alan O’Leary (Team engineer) – “I’m very disappointed for Dakota. He had a really great pace in the race. He really had great pace all weekend, and was doing a really good job. He just got caught up in, once again, someone else’s accident, and he went off, but came back, did a fantastic job fighting his way back from 18th to finish 10th. And, in the process, he did the 3rd fastest race lap. So, big kudos to him for not giving up and fighting his way back. As for Andre (Castro), thankfully, the damage is minimal on his car. It’s a tough blow for him, after having a tough weekend at St. Pete’s. He came here this weekend, was doing a good job, had a good race yesterday. He struggled a little in qualifying but had a good run. We were looking forward to a good race today, and through no fault of his, he ended up out of the race. But hopefully, he can come back and fight another day. Newman Wachs Racing (NWR) is a racing team owned by Eddie Wachs and, until his death, American actor and racer himself, Paul Newman. NWR is based outside of Chicago, in Mundelein, Illinois. Newman and Wachs shared the same passion for racing and met when they both competed in the Can-Am Series in the mid-1970’s. They raced together for 15 years in Trans-Am, Can-Am, and many other SCCA professional venues. Over the years, they talked about joining forces to create a driver-development race team. They put together a Champ Car Atlantic team for the 2006 season to meet their objectives. 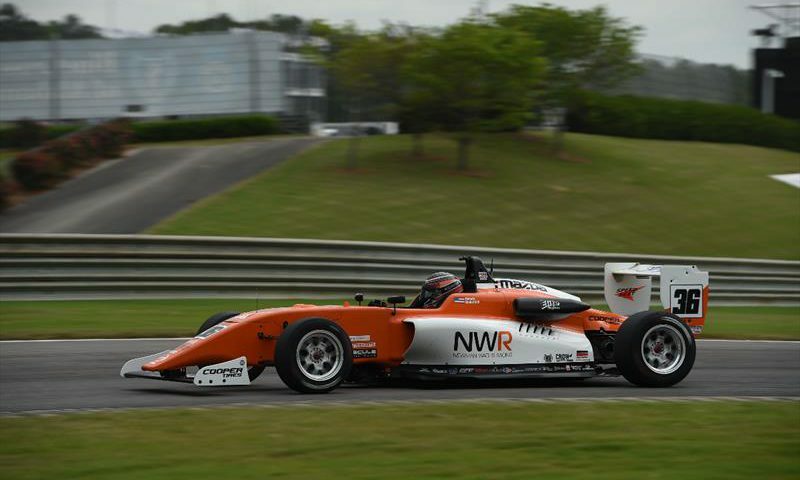 In 2009, John Edwards won the Championship for NWR, beating teammate Jonathan Summerton in a tiebreaker. The Cooper Tires USF2000 Championship Powered by Mazda debuted in 2010 and is a continuation of the highly regarded USF2000 series that ran from 1990 through 2006, launching the careers of many of today’s top drivers. Sanctioned by INDYCAR, the series is the first official step on the Mazda Road to Indy. 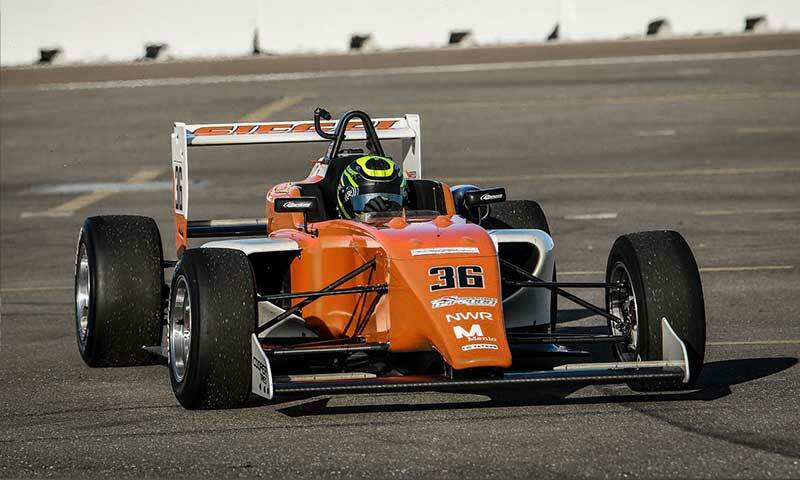 In addition to providing a vital training ground for rising stars, the series champion will earn a scholarship package from Mazda to advance to the Pro Mazda Championship Presented by Cooper Tires, the next step in the ladder system. 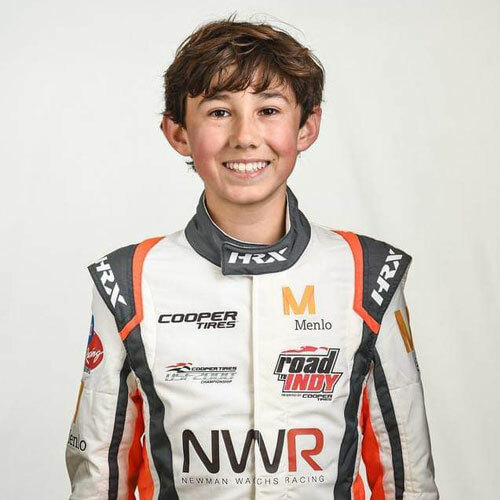 Aside from being one of the most successful driver development programs in the world, the Mazda Road to Indy ladder system has attracted competitors from all over the world, while providing a unique, scholarship-funded path to reach the Verizon IndyCar Series and Indianapolis 500.